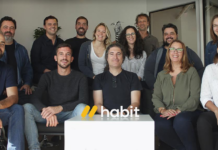 Platforms connecting homeless people with support, disabled job-seekers to the market or a community on mental illness: The winners of this year’s European Innovation Academy (EIA) in Cascais are not only passionate about tech but also about social impact. “We don’t want coins. We want change.” With this slogan, social platform WeLive aiming to connect homeless people with nearby shelters, charities and businesses convinced this year’s jury of the 2018 EIA. Competing with 500 participants from 75 nationalities, the ten winning teams of the EIA Portugal edition were announced last week after 15 intensive days of acceleration. Eight of the ten winning teams had students from Portugal as members, connecting them with their peers from renowned universities such as University of California Berkeley. 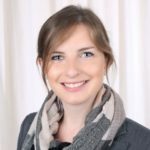 This year’s edition had a focus on Artificial Intelligence (AI) and robots, such as winning team Paralegal Bot, an AI-powered “legal consultant a message away”. The winners are receiving prices that range from expedited interviews with accelerators over trademark protection to business and marketing coaching from HAG Consulting, EIA, Hunter & Bard, Nixon Peabody, otherDOTs or Dybaw Venture Capital. The European Innovation Academy (EIA) claims to be the ‘world’s largest extreme accelerator’ that turns an idea into a startup in only 15 days. “In EIA the students are doing the same that accelerators are trying in 3-6 months (…) Impressive!”, is Google representative Martin Omander quoted. Since its 2017 inroads into Portugal, EIA joined forces with Beta-i, the Santander bank, the Cascais City Hall and the New University of Lisbon. According to Portuguese media, EIA is expected to stay in the country at least until 2022. EIA has so far been held in the Estoril Congress Center in Cascais. However, in the coming years, the event might move to the new facilities of the Faculty of Economics and Management of Universidade Nova, according to the report. 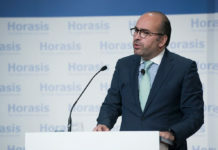 Earlier this year, the city of Cascais has hosted over 600 world leaders including politicians, academics, and chief executives at the Horasis Global Meeting.